When I first started this blog, I still worked at Holland and Barrett. 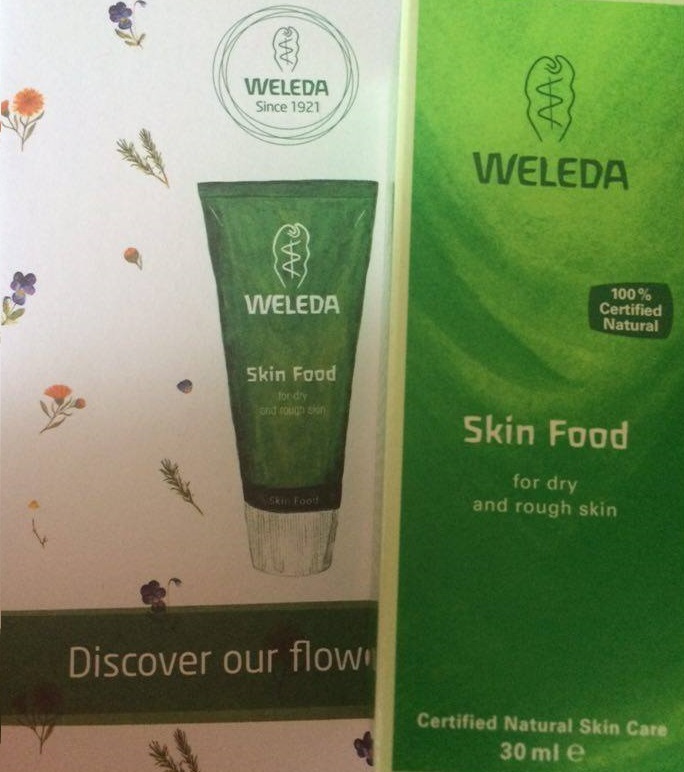 Whilst working there, I got into using Weleda products as we sold lots of them in store but have never gotten around to doing an actual review on here about any of them. Weleda's haircare and skincare are absolutely amazing - I love how natural they are too! The products that I'm going to talk about today is called Skin Food. It's been around for 90 years, having been introduced in 1926! It's totally affordable and is filled with natural botanical extracts. Skin Food is a balm which is designed to soothe the skin and promote radiance. It's perfect for my hands as they tend to get dry and rough from using gym equipment. When I use it on my hands after exercising they really drink it in and feel totally nourished. The product is suitable for vegetarians and comes in a recyclable metal tube. Skin Food has become really popular over the last few years - with many celebrities famously swearing by it including Rihanna, Adele etc. And it's also used at London Fashion Week behind the scenes. 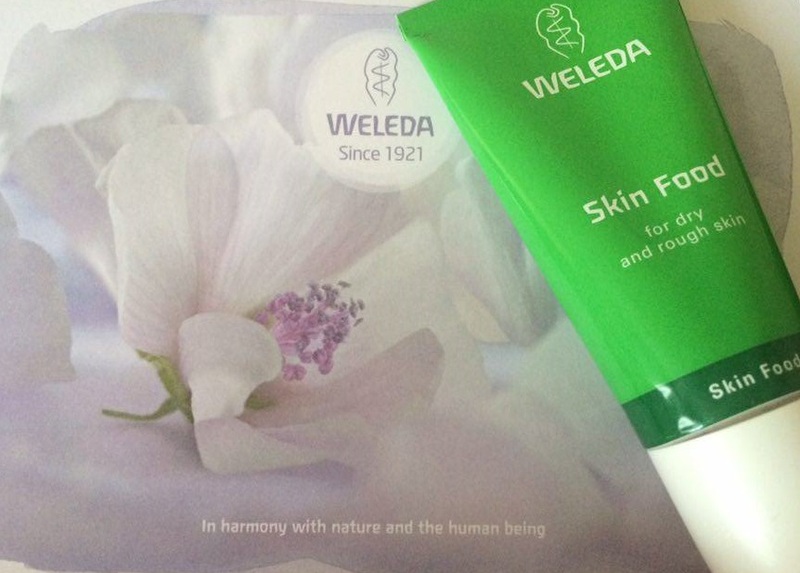 In fact, it's Weleda's #1 selling skincare product in the UK and has won 23 awards in the past decade in the UK alone. So let's have a closer look at the ingredients of Skin Food. It's made up of organic plant extracts, oils and waxes which are rich and deeply penetrate the skin as well as being incredibly gentle. The distinctive and uplifting fragrance comes from essential oils - namely orange and lavender. I love the smell of lavender and I love the smell of orange, but I'd never actually smelt them together before using this product and it really is a divine scent. Chamomile flowers are thought to possess gentle healing and anti-inflammatory properties. Calendula is often paired with Chamomile, the combination having a soothing effect on the skin. For centuries, Calendula has been used to calm irritated or inflamed skin and it also has anti-bacterial properties. Rosemary is revitalising and stimulating and is used to perk up pasty skin. Wild Pansy is often used on rough, cracked skin. It's perfect for restoring skin to its soft and smooth state! This is a product that I really enjoy and totally believe in. Natural, high quality skincare need not be unaffordable and this product reflects that. Skin Food is a thick balm which rubs in and absorbs quickly whilst leaving a light sheen on the skin. It's not greasy whatsoever and I love to use this to hydrate my thirsty skin at the end of the day.